Used and refurbished EqualLogic storage systems are a great way for SMBs and larger companies to save money while deploying enterprise class storage arrays with the reliability a Fortune 500 company demands. Whether you are looking for a production IP SAN, Disaster Recovery option, or a whole solution, Vilis Systems has a refurbished EqualLogic Option for you. All EqualLogic PS5000 series we sell come with a one year warranty standard. Extend the life of your Dell EqualLogic PS5000 series equipment with professional third party support from Vilis Systems. We offer third party EqualLogic support and maintenance contracts with best-in-class service from techs with years of experience with EqualLogic service. Third party EqualLogic warranty support is also available as an option with Vilis Systems. We want to make sure you get the most out of your EqualLogic SAN which is why we provide warranties, support & maintenance, installations, upgrades and access to our EqualLogic parts inventory system. If you’re serious about keeping your Dell EqualLogic system running for years, then don’t compromise with your support and contact Vilis Systems today. Vilis Systems buys your used EqualLogic storage systems. We buy all models from the original PS100E series to the latest 6000 series in all conditions, so call us today to receive an offer to sell your used EqualLogic equipment. 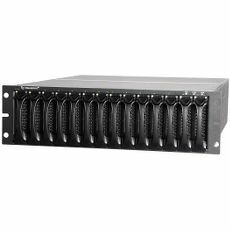 The Dell EqualLogic PS5000 Series of virtualized iSCSI SAN arrays are designed to bring enterprise-class features, intelligence, automation and reliability to remote or branch office, departmental and small-to-medium business (SMB) storage deployments. The PS5000 Series addresses branch office and SMB storage needs with simplified administration, rapid deployment and an affordable price, while providing a full set of enterprise-class data protection and management features, solid performance, scalability and fault-tolerance. To grow storage capacity and performance for remote office needs, two PS5000 arrays can be combined in a SAN group. To further scale out the SAN, EqualLogic PS6000 arrays can be added seamlessly without sacrificing the initial investment in PS5000 arrays. All PS Series storage arrays include SAN configuration features and capabilities that sense network connections, automatically build RAID sets, and conduct system health checks to help ensure that all components are fully functional. Offering built-in storage features previously available only to top-tier data centers, the PS5000 series enables best-practice storage for remote, branch-office and departmental deployments. The EqualLogic PS Series arrays include the following enterprise data services and software features with no additional software licensing fees: SAN HeadQuarters, Multi-SAN Historical Performance Monitoring, Auto-Replication, RAID Load Balancing, Complete SAN Virtualization, RAID Load Balancing, Storage Pools, Thin Provisioning and much more. With 15,000 RPM SAS disk drives, the PS5000XV array offers the best performance in the PS5000 Series with strong random IOPS performance for branch office deployments. Ideal for deploying business applications and virtual server environments in branch offices or small or medium businesses. With 10,000 rpm serial attached SCSI (SAS) disk drives, the PS5000X array provides up to 6.4 TB of storage for a great balance of cost-effective performance and capacity. Virtualized Internet SCSI (iSCSI) storage area network (SAN) with performance and capacity for branch office and smaller SAN deployments. 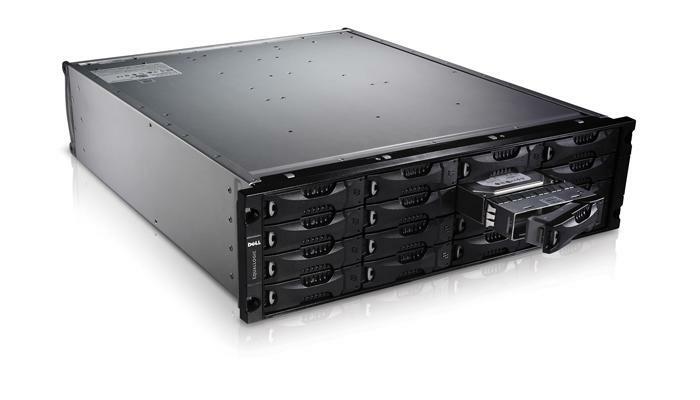 With up to 16 serial ATA (SATA) disk drives per modular array, the PS5000E delivers outstanding capacity value for an entry into midrange enterprise storage. Midrange Internet SCSI (iSCSI) storage area network (SAN) with affordable capacity for branch offices and small SAN deployments, such as in small- and medium-size businesses.